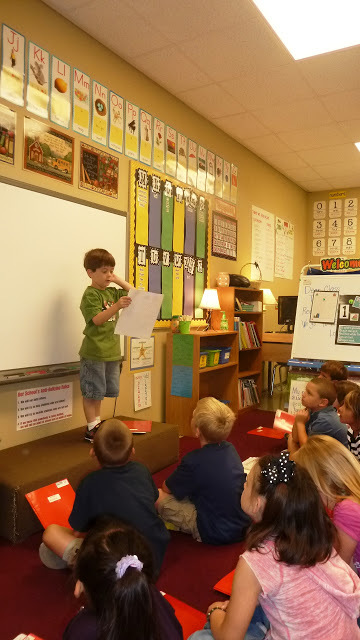 I heart writer’s workshop and I have recently launched with my new firsties. I have to say that out of all the implementing and training I have done for the last 8 school days, this has been my happy spot throughout the ups and downs of starting my new year. 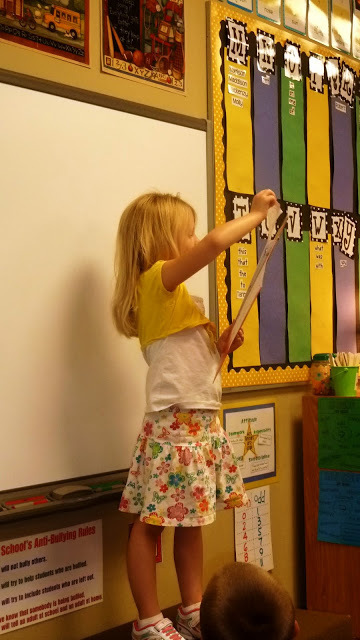 Partly because a clean sheet of paper thrills me, but this group of first graders is catching on pretty quickly. Perfection? OH MY NO. But progress…yes. Meacham’s Snapshots is the first place I found writing broken down for me in a way that excited me to teach. 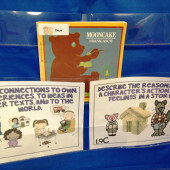 On my teacher shelf, I have many writing series designed for primary grades. I even kept those WAY outdated writing prompter papers thinking those would create better writing day after day. (yikes-my bad!) 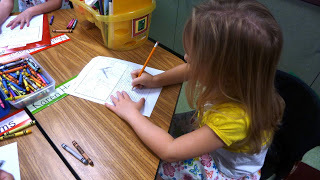 Over time my thrill for writer’s workshop time would always fade out. Since finding Meacham’s sight, a couple years ago, I have been able to stick with writing throughout the year much more successfully and consistently. 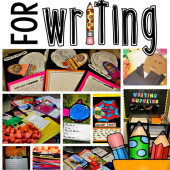 I have endless ideas and resources to explore all the 6+ writing traits. I also love all her visuals. Need a full year of writer’s workhop lessons? She’s got it. Be still my beating heart…now I can’t wait for the quiet 10 and some paper. happy happy teacher! Last year I used this book from day 1 of school and loved what I saw happen throughout the year. So my students are not only practicing the ideas trait for now, but a HUGE part of our focus is how to be an active listener when they have a fellow author sharing. Here’s a peek at today. 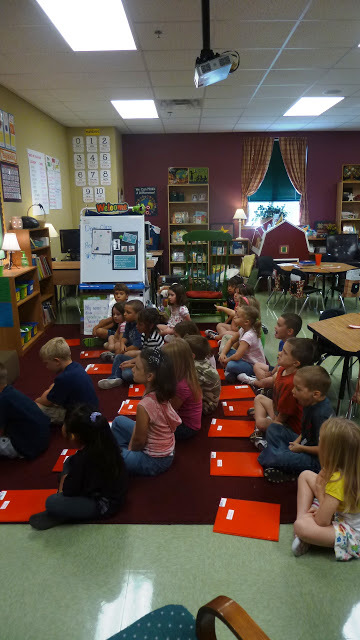 This is my class in “listener position” facing the “stage” where authors share their writing. The key here is folders on the floor and hands in laps. Otherwise they are a mess of papers and opening/closing folders. Ever been poked in the eye by the corner of a folder? I just love this one. 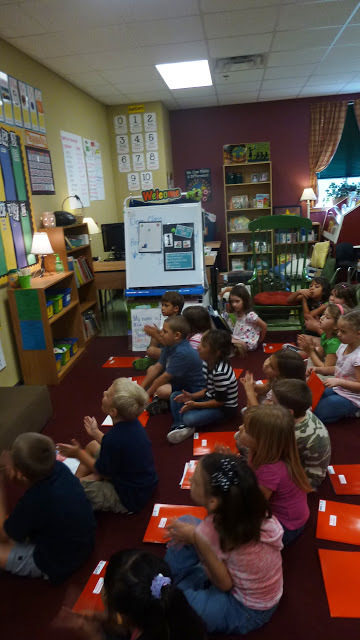 I plan to show them the active listening I see in this picture tomorrow. I keep walking around with my camera saying I like to capture learning. It’s working like a charm. 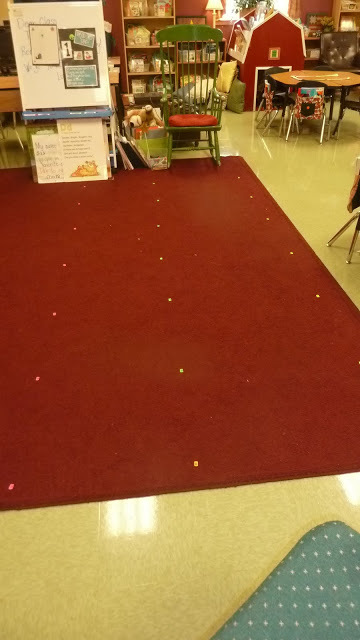 This picture is to show you that in all of my 10 years in first grade I have never had a class that required everyone to have a carpet spot. But after the last 8 days, I realized there was no other way! So….here are my carpet spots in all their glory. Last night as I watched The CFC videos about power teaching I picked my tired self up off the floor and got a plan for success. They have been wearing me out. Not acceptable. Why did I need a plan? Why am I worn out? 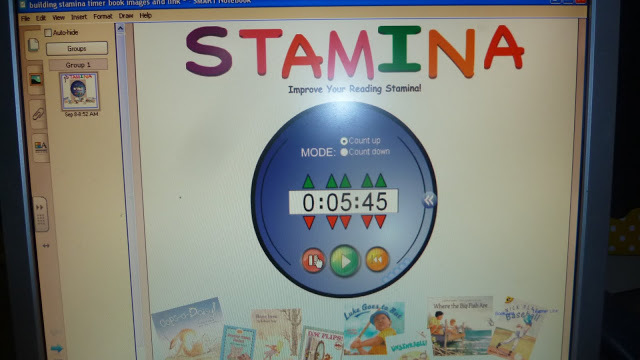 Well after 5 days of trying…this is our longest time for read to self. 🙁 I believe this timer is found on smart exchange if you are looking for a great visual for your students.) My wonderful team leader found it for me in my time of need. oh you must be kidding me! ha ha…thanks for making me feel better. Love your little cutie pies in their listening positions! Too cute! Oh girlfriend…I LOVE this post!!! And seriously, I'm right there with ya as far as the "wearing me out" goes 🙂 I *might* have picked up a bottle of wine on my way home tonight…just sayin' 😉 I'll definitely be checking out that video! THANK YOU!!! THANK YOU for your reference to Jessica Meachum's site! 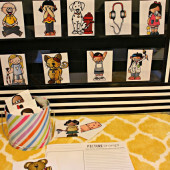 I was in desperate need of ideas for writing intervention for some kiddos, and her site is just what I needed! 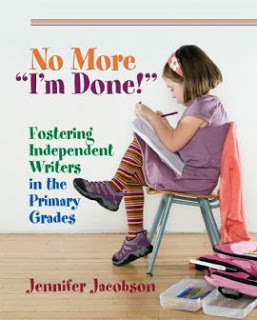 I have also been reading No More "I'm Done!" and I am loving that too! Thanks again!